The Blue Catamaran is a super vessel that sets new standards in cruising. 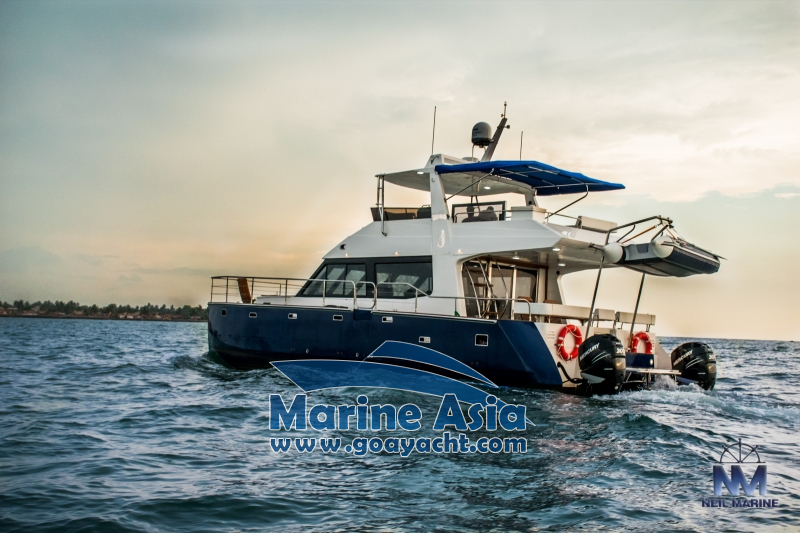 Its efficient motor and design takes you over the sea smoothly, even if the water is choppy. 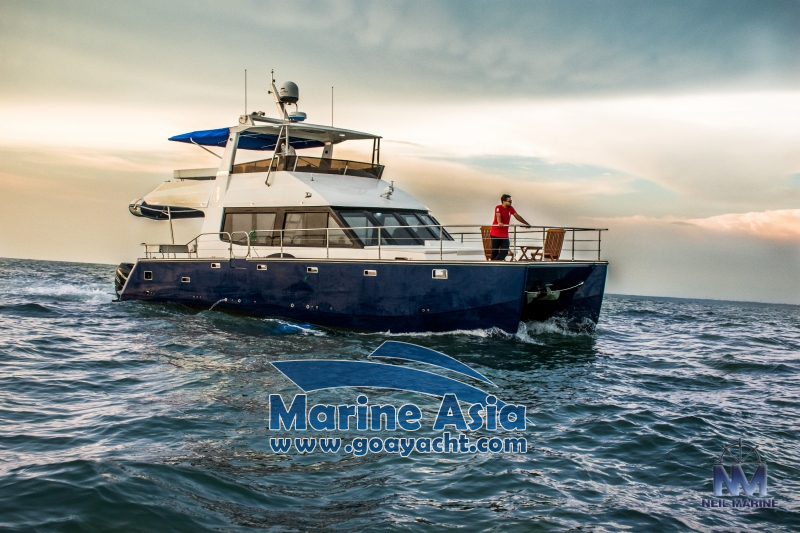 Blue in color, the catamaran is attractive to look at, making the vessel perfect for your cruising experience in every way. 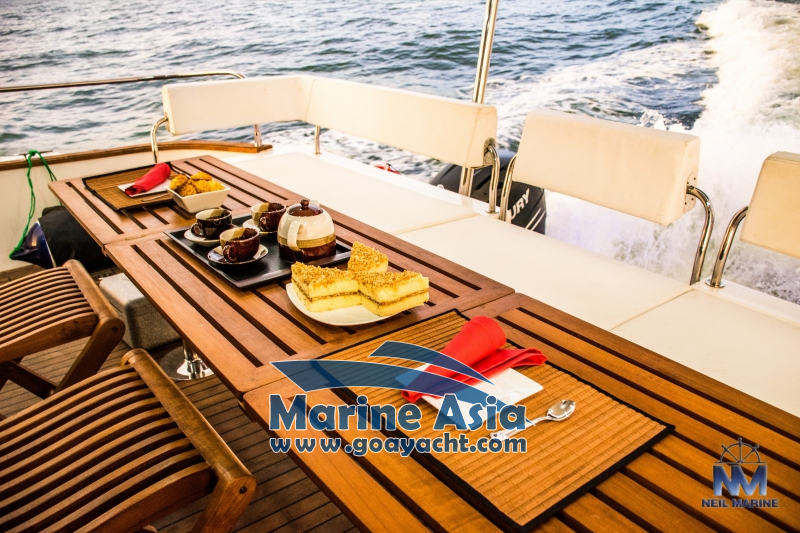 The design of the boat provides seamless movement, thus ensuring a smooth ride. Its exterior profile is very elegant and sophisticated, making it perfect for those who value true class and luxurious living. Powered by a powerful engine, the catamaran can take you to some of the prominent attractions off the coast of Goa. You can even enjoy fishing if you want from the boat. The Blue Catamaran promises you a superior cruising experience and all the modern luxuries you deserve. This is the perfect boat to travel with a group in Goa. 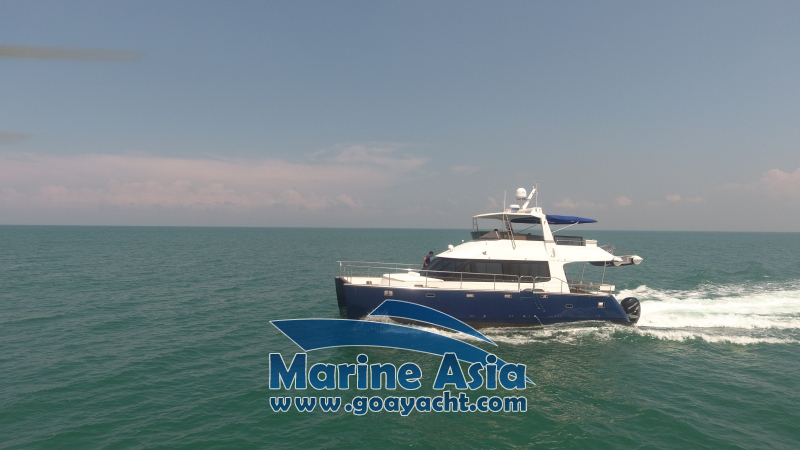 The Blue Catamaran can accommodate up to 20 people. Book it in advance for your own group, friends, relatives, or for an office party. 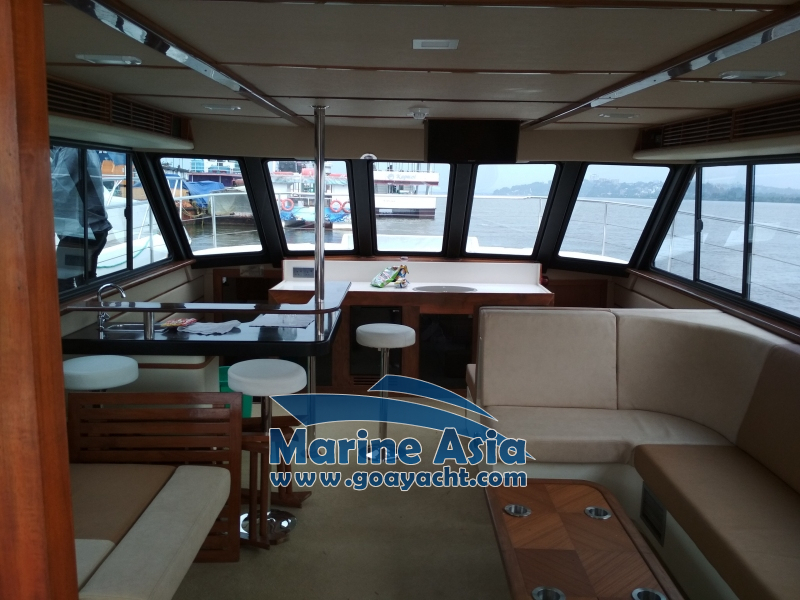 You can also book the catamaran for a film shoot in Goa. The captain and crew will offer you safe, leisurely, and customized service. There are 2 decks in this catamaran, one on the top floor. There is also a sundeck where you can relax, have a drink and get a gorgeous tan. Stand in the deck at the front of the vessel for your own Titanic moment. 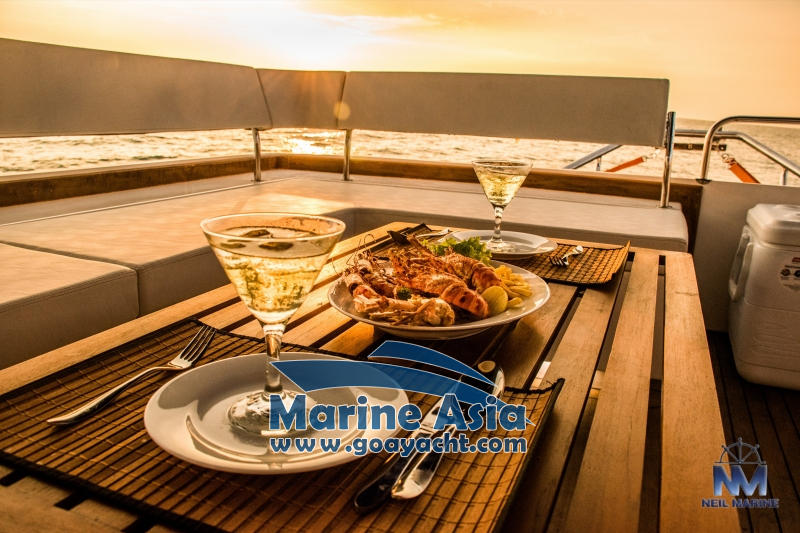 Food and drinks are served outdoor where you can enjoy a stunning Goa sunset. There is 1 big air conditioned lounge and also a wash room for your convenience.